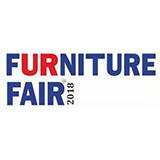 Furniture & Furnishing Fair Hyderabad will display a very large variety of furniture, furnishings, handicrafts, paintings, artifacts, frames, modular kitchens, outdoor and office furniture, sofa fabrics, and bed linen. You will get a wide range of products and services here in The Furniture Fair Hyderabad such as furniture, in an array of styles and finishes and many more products and services related to the furniture industry. 1 BR Apartment in Madhapur, Hyd..